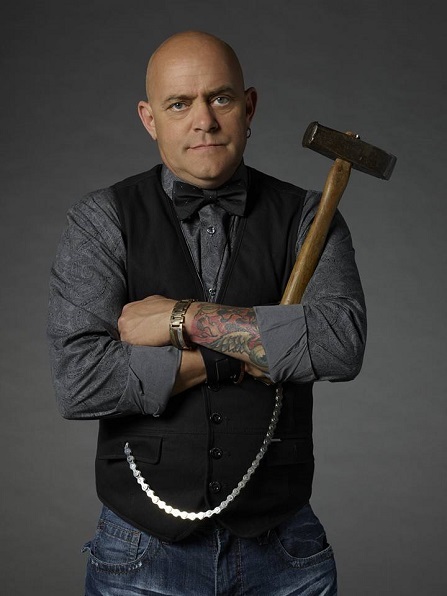 Ed Thayer was one of ten contestants on the first season of GSN's steampunk reality game show, Steampunk'd. He is an artist creating useable steampunk art from recycled waste and found objects. Ed began working in one of New York's top automotive customizing shops at teh age of 12. He later continued with his airbrushing skills in Michigan, and after 30 years in the automotive and equipment industry, Ed started repurposing everyday objects and mechanical components into art in his Jackson, Michigan studio.